NATIONAL IDENTIFICATION & SOCIAL SECURITY CARD NUMBERS MUST END. STOP SOCIALIST SLAVERY. 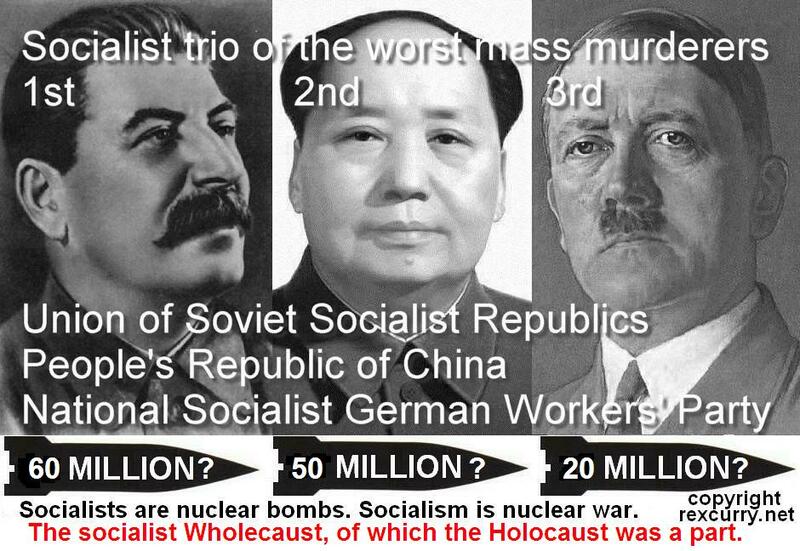 Your social security number came from the socialist trio of the worst atrocities (the former Union of Soviet Socialist Republics, the People’s Republic of China, and the National Socialist German Workers’ Party http://rexcurry.net/socialists.jpg ). A website of the U.S. government (http://www.ssa.gov/history/ottob.html) is very revealing, even though the website hides the fact that the Social Security Act was signed in 1935, and that the Union of Soviet Socialist Republics had been in existence since 1922, and the Chinese Communist Party had been in existence since 1921 and the National Socialist German Workers’ Party had been in existence since 1920 (with electoral breakthroughs in 1930 and dictatorship in 1933, expanding Otto von Bismarck’s socialism). In 1935, U.S. politicians were knowingly adopting the slave systems of the trio of the worst socialist hell-holes. In the U.S., Most democrat-socialists, republican-socialists and other modern socialists (whether in the media, elected officials, or in the general population) hold the same views as the monstrous socialist trio did in favor of numbering every person from birth, and tracking every person’s finances and movements for life, stealing from everyone constantly before they even see their own wages.